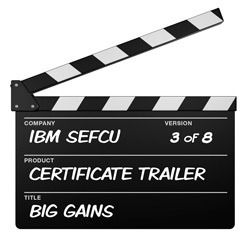 Credit Union Marketing: MDG Makes Multimedia Movie Magic With IBM Southeast Employees' Federal Credit Union's Certificate Promotion. Third In A Series Of Eight. Click the clapper to view today’s featured trailer “Big Gains”.